2 Commercial Real Estate & Properties in Kuluin are listed in 2 categories. We have 1 Retail ShopsSale and 1 Industrial Warehouses Sale . Ray White Commercial Northern Corridor Group is pleased to present 1/1 Heidi Street, Kuluin for sale as vacant possession. The property is priced to sell quickly and targeted to the owner occupier market wanting to stop paying rent and purchase their own property. 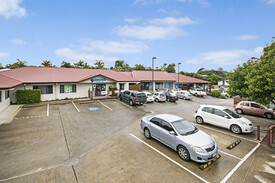 60m2 Bustling little convenience hub Ample onsite car parking Corner exposure, offering a beautiful glass shopfront Located at the front of the complex offering good exposure to passing traffic coming into McDonalds Positioned just off the Sunshine Motorway and offers easy access to the Bruce Highway, Sunshine Coast Airport and Maroochydore CBD The property is situated on the corner of Heidi Street and Indiana Place within a well established commercial and residential precinct. The premises forms part of the regions key retail centre with the likes of a Child Care Centre, Allied Health Professionals, Convenience Centre and Kuluin McDonald's. For further information or to arrange an inspection please contact the Exclusive Marketing Agent. Industrial Complex Close To Everything $1,200,000 + GST (if appl..
Industrial complex of four with a mix of office warehouses located on Advance Road in the Kuluin industrial precinct. + 806sq m (approx) freestanding complex with no body corporate fees + 1,586sq m (approx) gated complex + Four roller doors + Off street parking + Central location in close proximity to CBD + Units 11a, 11b and 13a are tenanted + Unit 13b: 152sq m plus 56sq m (approx) mezzanine is currently available for lease Call or email David Smith to inspect the property or find out about other suitable options. Our team is strategically located in two offices across the Sunshine Coast region and is ready to handle your commercial, industrial and retail property needs today so call or email now.